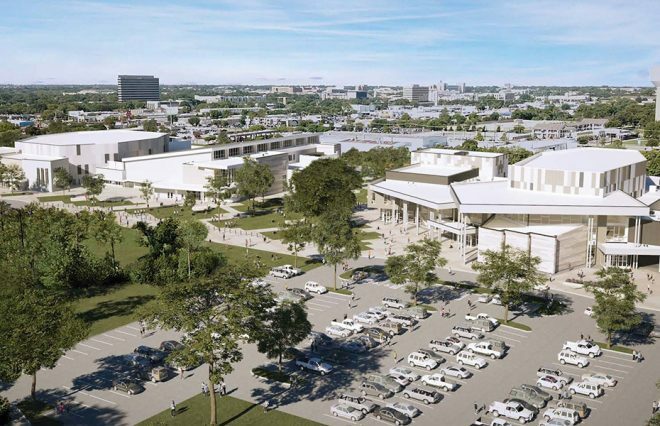 The Fine Arts Center and Athletics Complex is to be built at Eastern Star Road near Division Street and Collins Street, within the Arlington Entertainment District directly across from AT&T Stadium and near Globe Life Park. Designed by HKS, the $84 million state-of-the-art facility will be built on over 21 acres, serving the entire district, grades pre-kindergarten through grade 12. 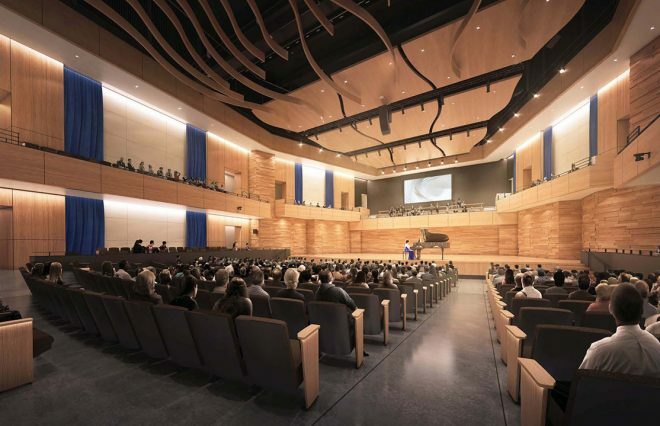 The new 97,963 square foot Fine Arts Center, a world-class performance and demonstration venue, features a 1,250-seat concert hall, 425-seat theater, art and dance studios and an instrument repair center. 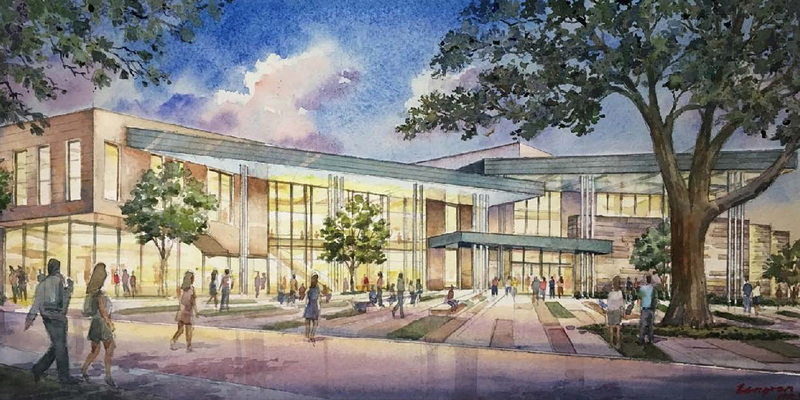 The facility will also include an academic wing and student courtyard, as well as an art gallery next to the main lobby. 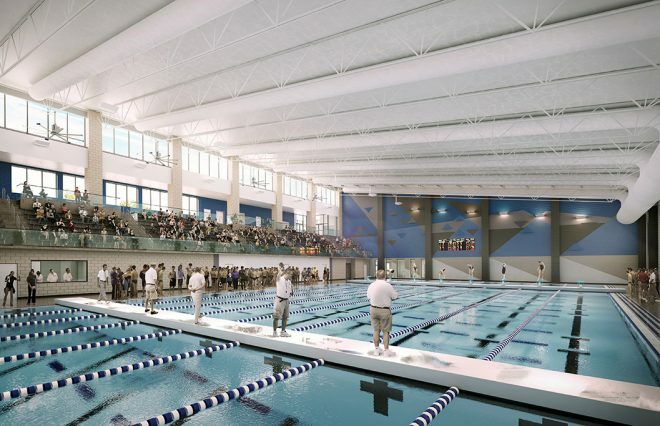 The district's new 97,548 square foot Athletics Complex includes a gymnasium and natatorium, providing competition and practice venues for sports lacking adequate space at high school campuses for swimming and diving, competition and water safety training, competition wrestling, basketball, volleyball and elementary gymnastics. In addition, AISD has formed a partnership for a piano to be in the pre-function space of the Fine Arts Center. 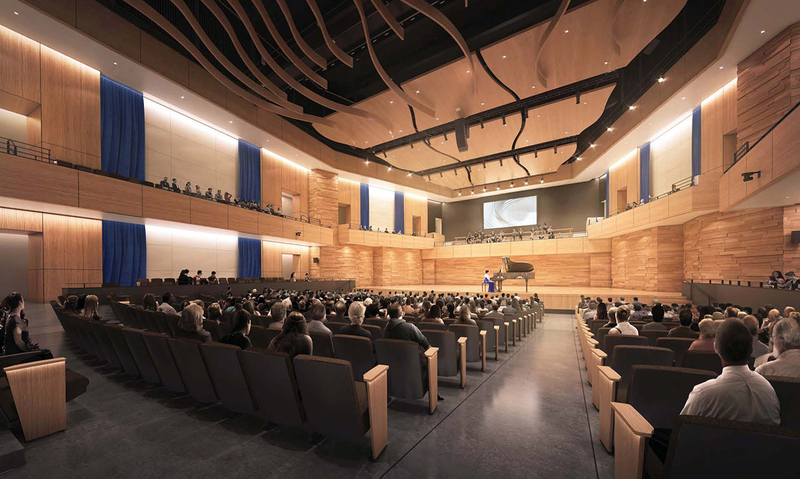 The Steinway Spirio Model B Grand Piano, labeled as the world's finest high-resolution player piano, will offer individuals the ability to enjoy performances captured by great pianists where students and special guests can use the piano for live performances. AISD is the first district in the country to order a Spirio Model B Grand Piano. 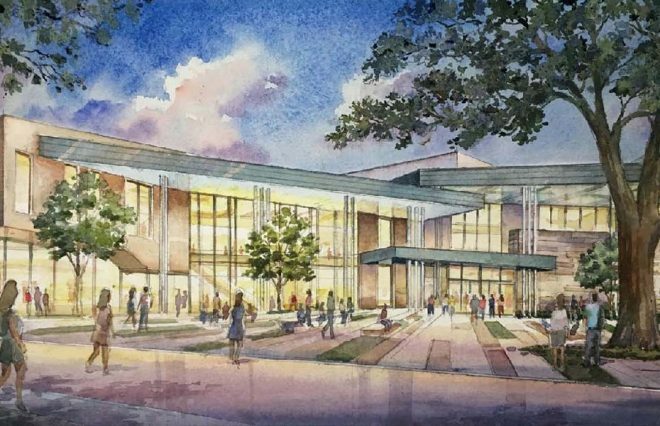 The groundbreaking ceremony, which attracted over 200 attendees, included performances from elementary, middle and high school students from AISD's fine arts department. The event was kicked off with a breathtaking musical performance by AISD high school students of the national anthem, followed by moving speeches from district leaders and project team members, along with performances by music, orchestra and choir students. In addition, students serenaded attendees on a Steinway grand piano as they arrived at the event. "Today's groundbreaking was another step toward providing world-class opportunities for our students," said Dr. Marcelo Cavazos, AISD Superintendent. 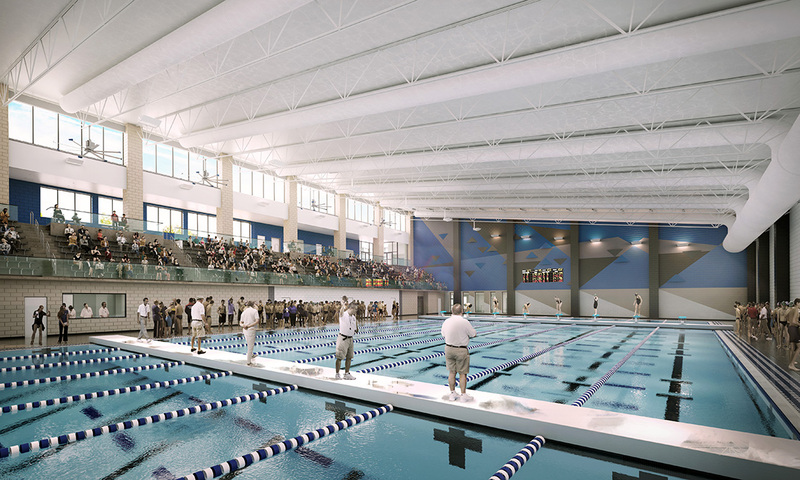 "The new Fine Arts Center and Athletics Complex will allow us to continue to grow programs and to host events that have not been able to be held in Arlington before. Our vision is to be a premier school district and a leader in education, and these facilities will help us realize that vision and help students realize their potential while they're with us." 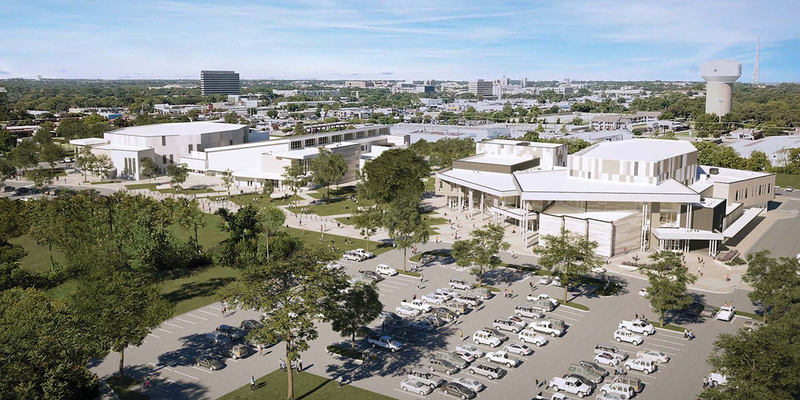 "This is the sixth project that AP has undertaken with AISD in the past two years and we are excited to once again partner with them on this important project for the community in the heart of the Arlington Entertainment District," said Corbett Nichter, Regional President with AP. "Our team is fully committed to the success of this world-class project for both AISD students and staff." Scheduled to open in the fall of 2020, construction will begin in early fall 2018.